If swimming pool construction in El Dorado Hills, California has been on your to-do list lately, you definitely need to know more about having your own swimming pool. The truth is, building a pool in your home or weekend house is not easy. You need someone experienced and specialized in that, and a lot of time and patience throughout the process. A swimming pool in El Dorado Hills is also not a cheap investment. It can cost anywhere from $20,000 for even a simple setup or up to $150,000 for a custom pool - all depending on the materials, size and all the bells and whistles that you want to include. So, it is safe to say that making the wrong decision could prove even more costly down the road. That is why today, we are listing the five main things to know before searching for the best swimming pool contractor in El Dorado Hills, CA. There is no doubt that a swimming pool is a great investment. However, you should definitely think about all the reasons you need it in your home. Whether it’s for your bachelor dreams, a pow-wow with your kids or partner or fun for the entire family, your needs will help you know how to make most of every detail as your pool is planned and built. Tip: Everyone in your family can state the reasons why they want a swimming pool (hot tub, spa, board etc.) and that way, you can come up with a solution that satisfies everyone. 2.What type of pool crosses your mind? Second of all is a question that you should ask yourself before planning your swimming pool construction in El Dorado Hills. The truth is, there is an ocean of styles and options when it comes to pools (that you probably have no idea about). From shapes to sizes and interiors, make sure to do your own research of ask the contractor to provide more details on their completed projects. The size of your pool is obviously important. If you have a big mansion, you should be lucky and definitely invest in a swimming pool that matches it (or the needs of the people living in it). You may use your pool for swimming laps, as a children’s theme park or just a place to cool off - so make sure to know its main purpose and align the size to it. Tip: If you have a smaller lot, make sure to be creative and see some custom pool design options that work best for your outdoor space. Pinterest is always a good idea, right? You must have a budget before even thinking about swimming pool construction in El Dorado Hills, California. As (us) pool builders and suppliers would say, “there is a pool to fit every budget” which is still a positive sales pitch. However, planning a swimming pool project is a process that should include the budget from the start - and all the ways to obtain it. Last but not the least is something that many pool owners have figured out over time - but did not know at first. It’s the pool maintenance, or a process that is complicated on its own. To make most of this, you can always hire a pool maintenance contractor and have your pool regularly cleaned and freshened. Alternatively, you can buy your own equipment (heaters, chlorine, bromine, pumps and vacuums) and dedicate a couple of hours every week for your DIY pool maintenance. Admit it - You Want Your Pool Soon, Don’t You? If all of these talks have helped you shape the idea of the perfect pool for your home in El Dorado Hills, California - now you have the right contractor to call. 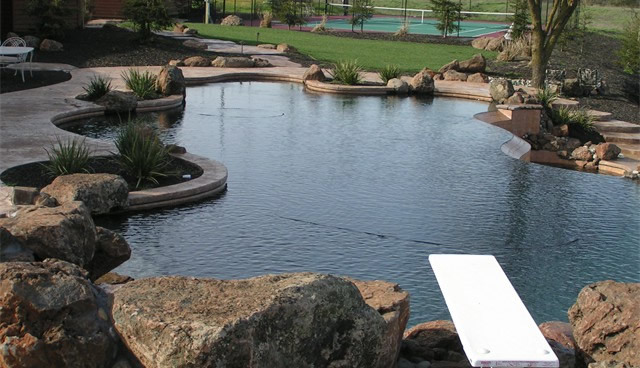 At Sac Pool Pros, we pride ourselves on our experience and knowledge in swimming pool construction. All you need to do is give us a call and we can talk about your dream swimming pool. As a bonus from us, you will get a FREE estimate on your pool project!